DHEA‚ the most abundant steroid in the blood of adult humans‚ peaks in early adulthood and declines with age. 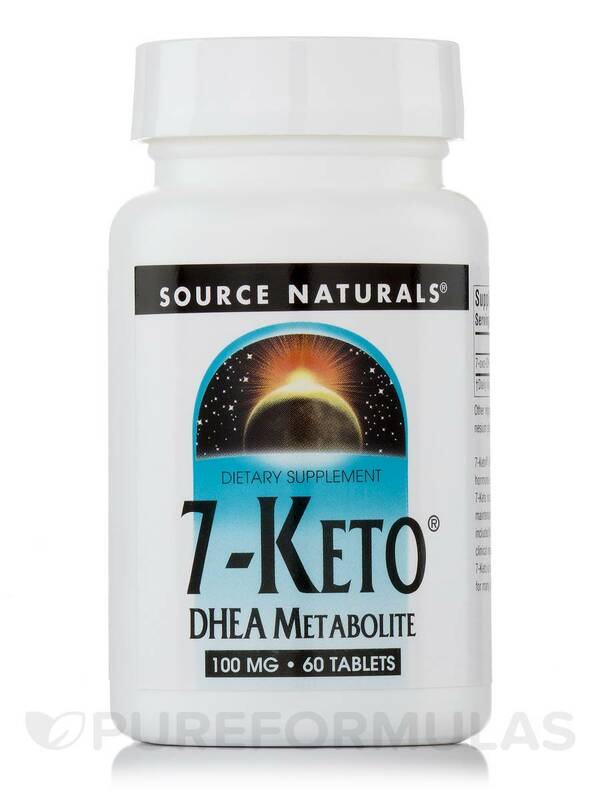 Animal research indicates that 7-Keto®‚ a natural metabolite of DHEA‚ is a more active inducer of thermogenic enzymes than DHEA. 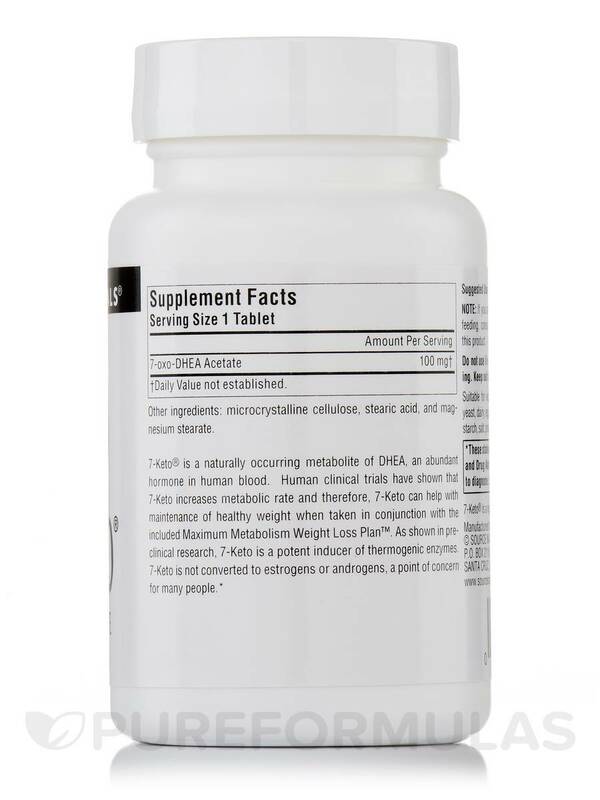 Research on humans has shown that supplementation with 7-Keto® is well tolerated. It is not converted to estrogens or androgens‚ a point of concern for many people. 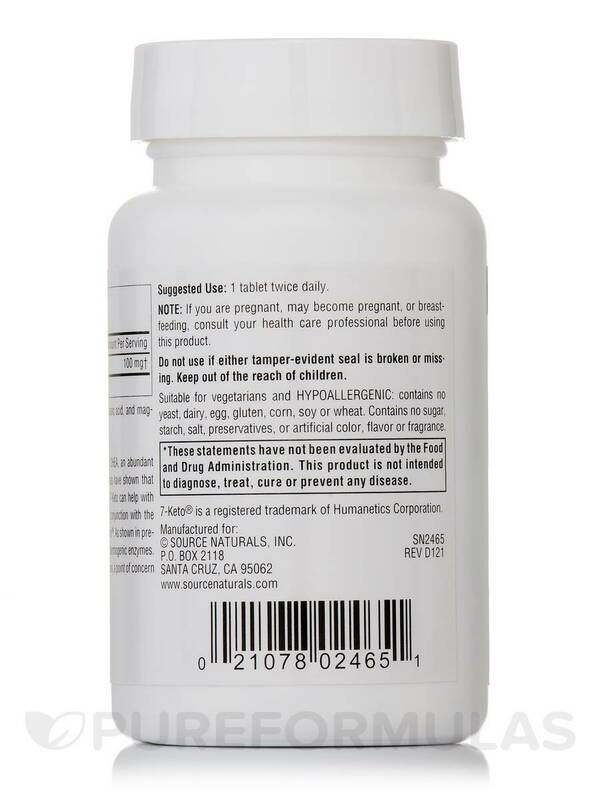 Other Ingredients: Microcrystalline cellulose‚ stearic acid‚ and magnesium stearate.